(NaturalNews) One of the most extraordinary stories in American history is unfolding before our eyes today as the entire mainstream media conspires to suppress and bury the true story of a CDC scientist blowing the whistle on runaway scientific fraud at the agency. To date, not a single mainstream media source has published even one article on this historic turning point in medical history, where Americans learned that the CDC had been deliberately lying to them about the supposed safety of MMR vaccines. One media source, CNN, has gone to tremendous lengths to censor citizen journalists who attempted to bring this story to light. The breaking of this astonishing story has been accomplished entirely by the "alternative media" -- the only free press still operating in the world today. Every other news source -- including many so-called "progressive" publishers -- has fallen in line with the deliberate suppression of a medical news story with enormous implications for public health, public trust and government authority. If this story were taking place in any other industry, it would be front page news everywhere. For example, if a Republican campaign manager whistleblower went public with a confession of electoral fraud, it would be front page news everywhere. If a researcher of medicinal herbs claimed to have fabricated study data to falsely show herbs were safe, it would be front page news everywhere. If a Big Tobacco scientist went public with evidence of a massive health cover-up inside the tobacco industry, it would be front page news everywhere. But when a highly-respected CDC scientist blows the whistle on twelve years of scientific fraud and truth suppression at the CDC, the story is immediately and systematically buried across nearly all media. Remarkably, all Pulitzer prize-winning journalists have been silenced on this story. There is not a single journalist anywhere in America who works for a corporate-run media organization who will be allowed to publish anything on this story. All media in America have clearly been ordered to censor and suppress these extraordinary revelations made by a high-ranking CDC scientist who is now being called the "Edward Snowden of the CDC." The same national media that created a firestorm over the shooting of one African-American teenager in Ferguson, Missouri now remains utterly silent on the vaccine violence committed against tens of millions of black children. It is socially acceptable, you see, to condemn law enforcement officers for participating in one death, but it is absolutely forbidden to provide any coverage at all to a CDC whistleblower who reveals a shocking agenda of medical racism and genocide being actively pursued at the Centers for Disease Control. The same national media that mindlessly repeats one of the most moronic memes of our time -- the ALS ice bucket challenge -- has abandoned any ability whatsoever to ask investigative questions about a high-level CDC scientist going public with shocking allegations of scientific fraud. The vaccine industry, you see, is the sacred cow of American industry. If the truth about vaccines is every allowed to come out, the entire credibility of both the pharmaceutical industry and government health regulators will be compromised (if not shattered). This absolutely cannot be allowed to take place no matter how many black babies must be maimed or killed in the process. The same media that claims to represent racial equality and minority interests across America is actually condemning minorities to be harmed and possibly killed at the hands of a deeply corrupted, fraudulent medical-industrial complex which is practically indistinguishable from a criminal mafia. All this explains exactly why alternative news sites like Natural News, www.TruthStreamMedia.com and www.NoMoreFakeNews.com are rapidly growing in popularity while the mainstream media loses readers by the hour. Even the mainstream media's desperate attempts to attack alternative media by printing defamatory attack pieces has backfired, resulting in alternative media attracting and recruiting tens of thousands of new readers by the day. Simply put, thinking people are tired of being lied to by a corporate-run media. The mainstream media is to your brain what Twinkies are to nutrition. Mainstream media is "junk media" whose only purpose is to distract you with meaningless "news theater" while they brainwash you with government disinfo and corporate propaganda that will almost certainly harm you and your children. 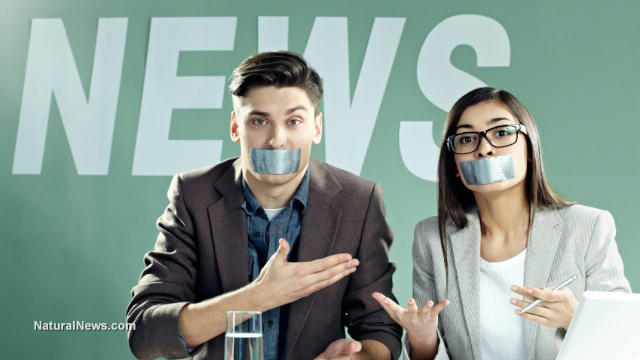 Almost nowhere in the mainstream media will you ever hear any honest discussion of the real issues threatening us all: global debt collapse, the deadly effects of mercury in vaccines, the poisoning of our environment with glyphosate and GMOs, the danger of chemical food additives and so on. Mainstream media is truly the opiate of the masses. It is elaborate theater and distraction for those who prefer not to go through the laborious effort of thinking for themselves. All this explains why I value Natural News readers and fans so much. We are the future of human society because we are the only ones with the courage and intelligence to face reality and understand the changed in direction which are necessary for humanity's long-term survival. Society as we witness it today will not last much longer. Collapse is imminent on many fronts: economic, environmental, social, agricultural and so on. Shortsighted human beings have run the planet out of fresh water, fossil fuels, cheap debt and cheap food. Our present global economic system is based almost entirely on the delusion of endless growth coupled with the propagation of false information disguised as "news" in order to prevent the masses for recognizing the truth. Meanwhile, governments everywhere are militarizing their police, running gunpoint quarantines during disease outbreaks, and aggressively planning for a global pandemic that top scientists are openly calling for in order to cull the human population. Endless growth is not possible in a world of finite resources, and by definition this also means a national economy based on the creation of endless debt will inevitably collapse. A food supply based on the chemical saturation of soils and the rapid exploitation of fossil water aquifers is a food supply which will come to a disastrous and abrupt end. A medical system which is largely based on the poisoning of children and pregnant women with mercury is a medical system which will sooner or later be revealed as for-profit quackery. The truth cannot be buried forever. And as long as Natural News is here, this is precisely where you will find one of the few remaining sources of truthful, high-integrity reporting and journalism left in our world.